Hey there friends! Arrr... are ya ready fer talk like a pirate day?! Tomorrow, Sept. 19th, is talk like a pirate day and Swagbucks is going to celebrate by offering a swag code treasure hunt! Swagbucks is calling it the Mega Swag Booty Day! 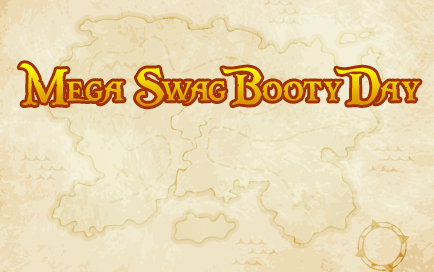 Some time today, Swagbucks will post a treasure map on their blog to guide you during the swag code treasure hunt. It will offer clues as to where to look for to find the treasure. During the swag code treasure hunt you can score up to 60 swagbucks if you manage to find all the codes! Don't miss out on this fun time online!!! If you are still not familiar with Swagbucks, you should definitely check it out. You warn Swagbucks by doing every day tasks online. After earning enough Swag bucks, you can exchange them for physical prizes or for online prizes, such as Amazon giftcards. I've earned my fair share of giftcards that they have helped fund my game giveaways!